Perfect for those chilly mornings, this Guinness Lumberjack Knitted hat is made from a soft wool and polyester blend in a traditional lumberjack hat style with earflaps and drawstrings. 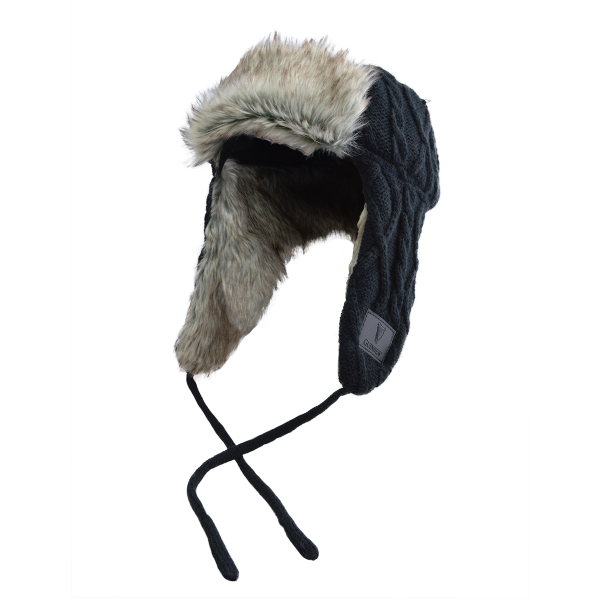 With a faux fur lining inside, this hat is sure to keep you warm on the coldest of days. In a classic black color with a contrast fur lining, this Guinness Lumberjack Hat features an embroidered Guinness Harp Logo patch. A wardrobe essential for all Guinness lovers. ''One size fits all'' Guinness® Official Merchandise: This product celebrates an extraordinary brand, which for over two centuries has been held in great affection around the world. For many, Guinness® has come to symbolize a way of life, always with style, wit, and good humor. This product is intended for purchase and enjoyment by people of legal purchase age for alcoholic beverages.